Hello eveyone! I just got a package in from Amazon, it included some new skincare bits, so I thought I would share. 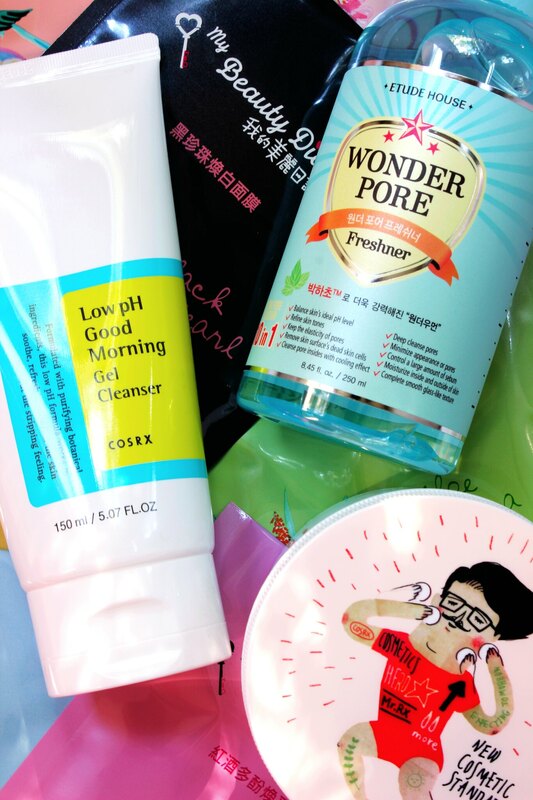 If you are interested in Asian Skincare, you will definitely enjoy this post as I branch into products that are not sold in the K-Beauty section of Sephora or Ulta. I have seen this cleanser floating around in the bestsellers list of Cosrx, so I really wanted to try it. If you read my Clean & Clear Continuous Control Cleanser Review* (review here), then you would know that I use that night and day. However, now that a lot of my acne has cleared, I want to use it once a day. So I thought purchasing this Cosrx cleanser for cleansing in the morning would be ideal. On Amazon, there are a lot of comments on whether or not this product is fake, but I checked the Cosrx website and it seems they changed the packaging over the last few years. Another bestseller from Cosrx. These are exfoliating acne pads that you use after washing your face. I was first introduced to this by Teddybearkittens on YouTube (Angela). Angela said she used it right before she does her makeup. Which seems like a great way to get rid of any excess oil if you have oily skin. Depending on the day, I do my makeup after I wash my face and apply moisturizer. So by the time I get around to doing my makeup, I already have a layer of sebum on my t-zone and inner cheeks area. I thought this would be a great way to remove that oil, lightly exfoliate my skin and prep my skin for sunblock. When I opened the package, this was leaking, which was strange considering the the protective seal was not broken or torn the slightest. This is one the first Korean skincare products I tried back in the day. It used super popular, but it died down with time. From what I remember, I really liked this toner because it helped tighten my pores. I have not used it in years, so I don't know if I will still enjoy it, but I thought it was worth a trip down memory lane. If you have been reading my blog for a while, you would know that my favorite sheet masks are from a brand called My Beauty Diary. 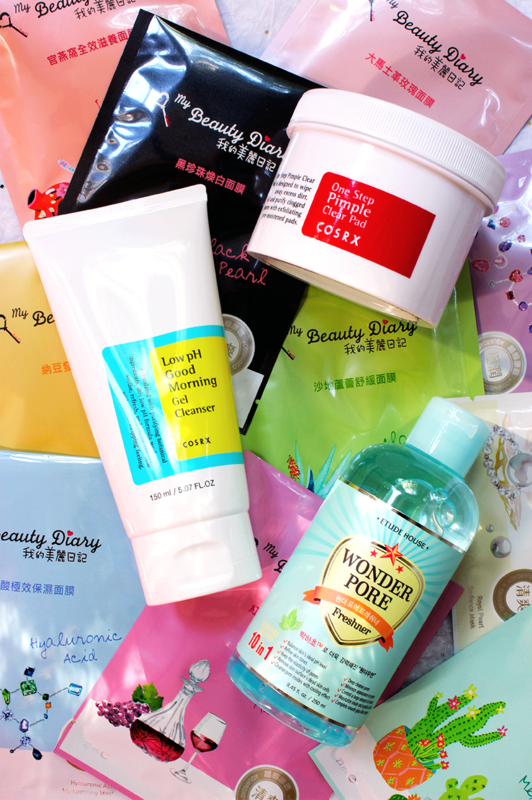 They are from Taiwan and they are definitely the most generous sheet masks I have tried. 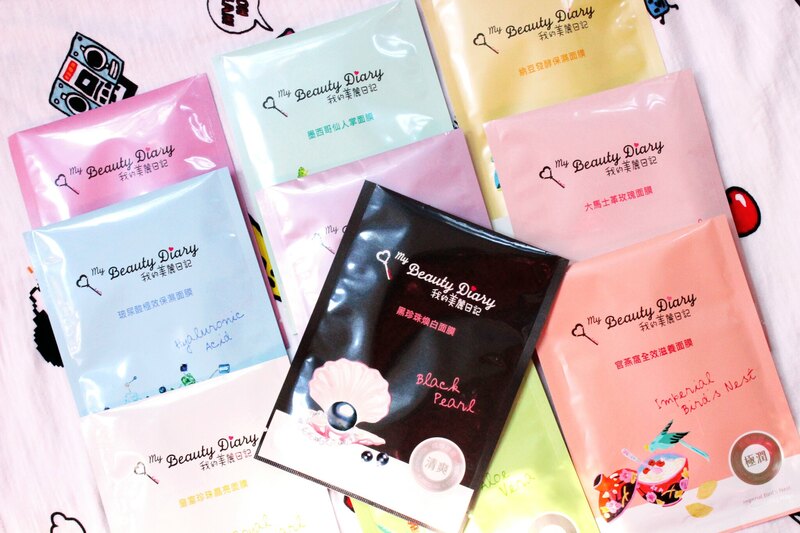 Each packet contains a sheet mask that is soaking in serum. It is so saturated that the packet has enough serum to last your 1-3 days. This is a variety pack that comes with 10 different masks, so I am super excited to try them all out. The most popular and my favorite is the Black Pearl Mask* because it is an all around a great mask, especially for special occasions. I also really liked the Aloe Vera* ones, perfect for summer when you are out in the sun for a really long time. 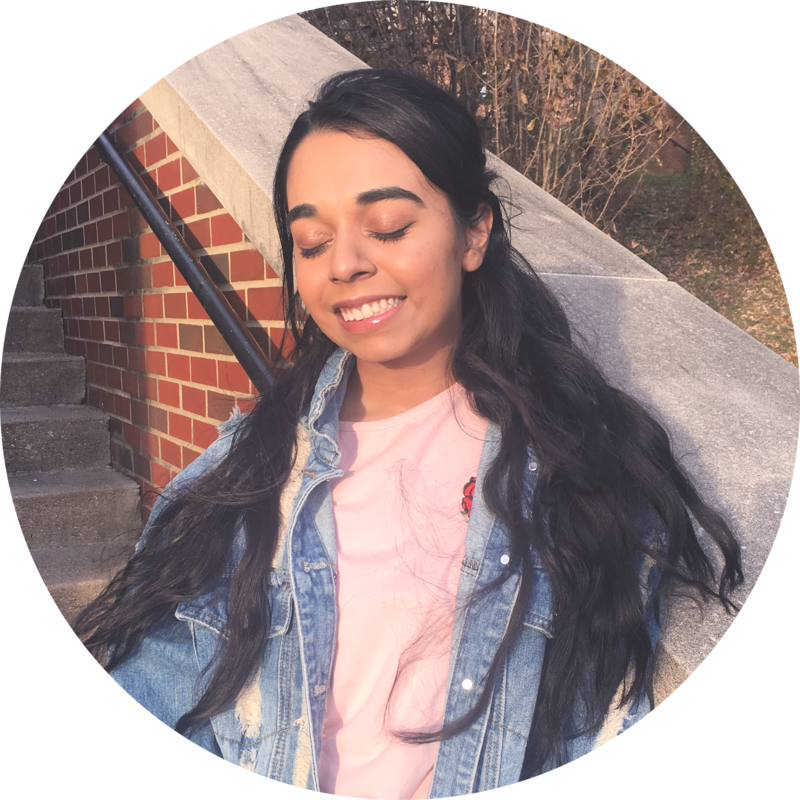 My Beauty Diary updates their formulas almost every year, so I want to see how the Black Pearl has changed. Also, I am excited to test out their other masks. I hope you enjoyed this haul. It has been a hot minute since I did a haul post, but whatever. I have another haul from Sephora coming in like a week and I am also waiting on the ASOS PACKAGE THAT WAS SUPPOSED TO COME ON THE 8TH! Was that too aggressive? Well, just to let you know, I am not angry. I am just...melancholy about the situation. Update: ASOS just emailed saying they are re-sending the packaging and it should be here this week! What makeup does SM Entertainment use on their idols? © Townhouse Palette | All rights reserved.